Our portfolios are custom designed to meet each client’s risk and goal parameters. 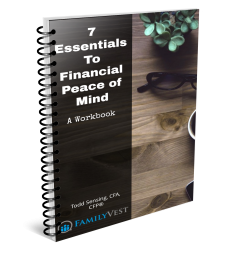 We help clients understand that applying rigorous scientifically based investing need not be overly complex. We believe that markets work, so we help clients focus on the behavioral aspects and asset allocations necessary to help them reach their goals. The market is an effective, information-processing machine. Millions of participants buy and sell securities in the world markets every day, and the real-time information they bring helps set prices. The market’s pricing power works against investment managers who try to outsmart other participants through stock picking or market timing. 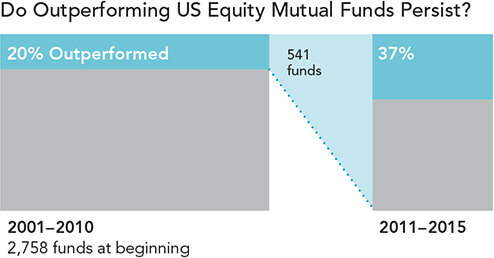 As evidence, only 17% of US equity mutual funds have survived and outperformed their benchmarks over the past 15 years. Some investors select mutual funds based on past returns. However, funds that have outperformed in the past do not always persist as winners. 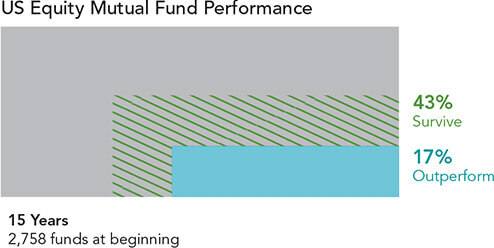 Past performance alone provides little insight into a fund’s ability to outperform in the future. Academic research has identified these equity and fixed income dimensions, which point to differences in expected returns. 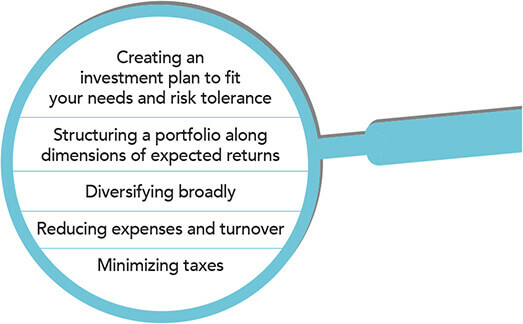 These dimensions are pervasive, persistent, and robust and can be pursued in cost-effective portfolios. *Past performance is no guarantee of future results. Indices are not available for direct investment. Their performance does not reﬂect the expenses associated with the management of an actual portfolio. Investment Diversification helps reduce risks that have no expected return, but diversifying within your home market is not enough. 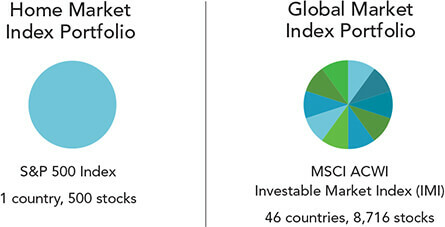 Portfolio Managers should look to diversify Globally which can broaden the investment universe. You never know which market segments will outperform from year to year. 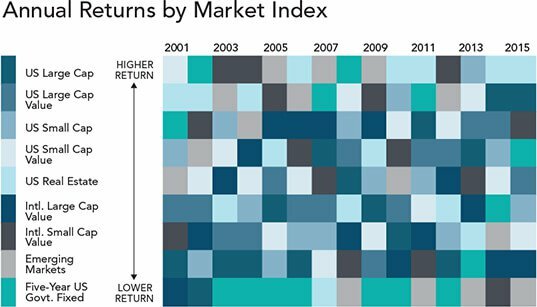 By holding a globally diversified portfolio, investors are well positioned to seek returns wherever they occur. However, time in the market is a key driver of success. 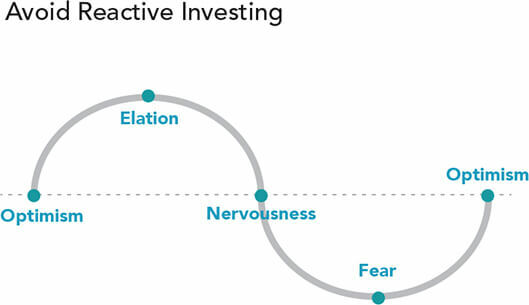 Many people struggle to separate their emotions from investing. Markets go up and down. Reacting to current market conditions may lead to making poor investment decisions at the worst times. This is where trained investment management can help you stay the course. A financial advisor can create a plan tailored to your personal ﬁnancial needs while helping you focus on actions that add value. This can lead to a better investment experience. Don’t fly blindly into your financial future. Get help today. © 2019 FamilyVest. All rights reserved.